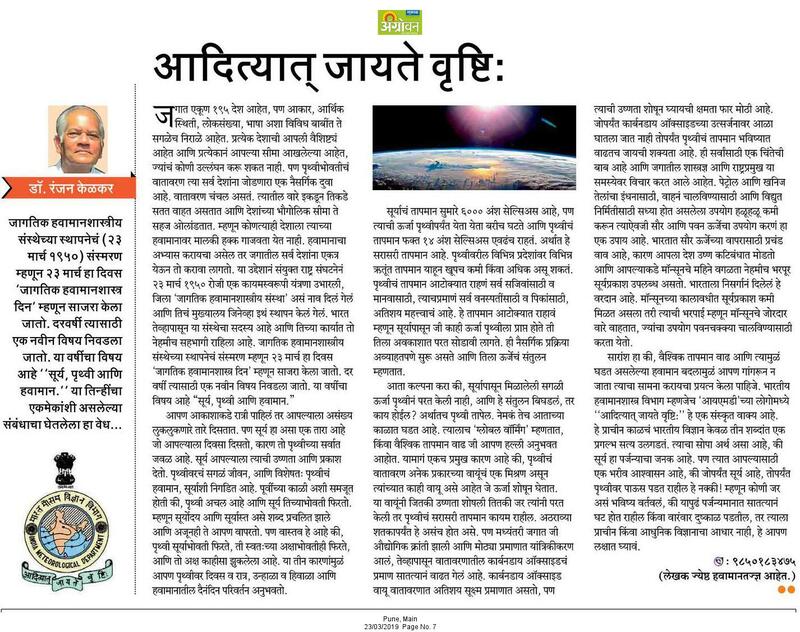 Prof R R Kelkar had delivered a lecture in Marathi on the Monsoon under the auspices of Marathi Vidnyan Parishad and Yashwantrao Chavan Pratishthan in Mumbai on 18 May 2016. It is now available on YouTube in two parts. Click to watch. 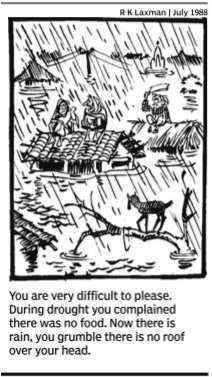 The legendary cartoonist, R K Laxman, had the weather and the weatherman as two of his favourite subjects for his cartoons in the You Said It series. 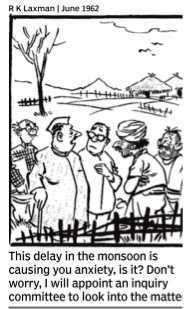 Here are two of his cartoons that appeared in The Times of India, one in June 1962 and the other in July 1988. 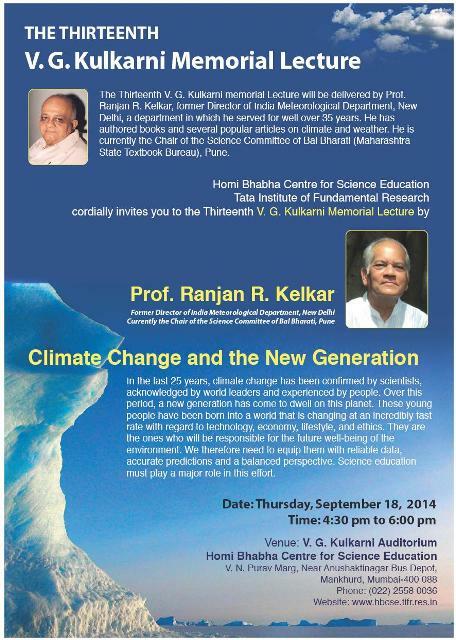 Prof R R Kelkar and Mayuresh Prabhune appeared on a live TV show in Marathi about the vagaries of the weather. The show was aired on 2 March 2015. Click to watch.